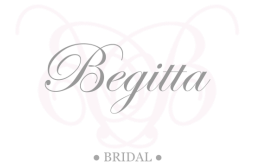 Before placing an order, if you have any queries relating to these terms and conditions, please email our customer service team at eboutique@begitta.com . We may change these terms from time to time without notice to you. Changes will apply to any subsequent orders received. Once your order has been confirmed, we will not be able to make any changes. All payments are processed in Australian Dollars (AUD), and include GST for Australian orders. Paypal use the strictest internet security available; please visit www.paypal.com.au for more information. FLAT RATE OF $10AUD - EXPRESS SHIPPING ON ALL ORDERS! Australia Only. Each particular category has a different delivery time as some pieces in our store are made upon your order. PLEASE ALLOW 14-21 BUSINESS DAYS FOR YOUR ORDER TO BE MADE AND SENT, YOU WILL RECEIVE A TRACKING NUMBER ONCE YOUR ORDER HAS BEEN POSTED. Once your order is packed and leaves our studio you will receive an email with a tracking number to track your parcel with Australia Post. If you are not home at the time of delivery you will be left a card and your parcel will be taken to your local Australia Post. New Zealand standard shipping is $10 flat rate per order, or $25 for express. All other countries are a flat delivery rate of $25 for standard international shipping, or $50 for express international shipping. Any taxes, customs fees or other cost are at your expense. International orders are sent with Registered Australia Post. Estimated international delivery time is 1-3 weeks for standard international, or 2-8 days for express international shipping once order has been sent *These delivery times do not include the additional 14-21 business days for your order to be made. If you would like to return or exchange your purchase for any reason please follow the returns procedure below. Please fill out our PRODUCT RETURNS FORM to request an RMA Number, No returns can be eligible without an RMA Number. Returns or exchanges are accepted on goods within 7 days from the date of receiving your order. Items not received within the period will not be accepted. Items must be in original condition. NO RETURNS AVAILABLE ON CUSTOM MADE PIECES – Custom made includes all pieces that are edited from their original pattern or style, have been added to or that have been ordered specially. This includes custom added veils etc. Eligible returned items will be issued as a Store Credit to the customer (Please see store credit details below). If you wish to return an item be sure to read the requirements below and be sure that your item is deemed eligible and then you will need to fill out our PRODUCT RETURNS FORM to gain your RMA number. Garments must not present stains or makeup marks, please take due care when trying on your order. All returns must be accompanied by a receipt/original invoice. We cannot refund items/products/pieces labelled custom-made or made-to-measure pieces or where the product has been made upon your order to specifications or additions to your item/s. If you have any questions in regards to returns please email us at eboutique@begitta.com prior to placing your order so we can clarify the status of returns for the particular item you are wishing to purchase. Returned items not received in their original state will be automatically returned to the customer. Begitta staff reserve the right to reject a return if we conclude it is not eligible or in a new condition. We DO NOT refund initial shipping charges for goods returned. Items we exchange for you will be re-sent at our cost. Your own return postage costs are not refundable. Returned items will be issued as a store credit to the customer. Due to the varying products and popularity of our products we cannot guarantee that we will have a different size in stock to exchange. For this reason any returns will automatically be issued as a store credit that will allow you to revisit our site to either purchase a different item or the same item in a different size, provided it is available. Returns are processed within 3 days of receiving your items. Store credits can only be used online and not in store. Returns can be sent to the Begitta studio, to the address stated on your original invoice; your returned items must include a copy of your original invoice. All items are thoroughly inspected before being sent out to customers to ensure a high level of quality. We are happy to replace, repair, or exchange goods in the case of a manufacturing fault where it is deemed eligible from the list above. We recommend that all items are tried on by you on receipt to ensure that you are able, if required, to exchange or return them to us within the required 7 day period from purchase. Gifts Vouchers: Gift vouchers may not be returned or exchanged and are valid for 1 year only from the date of issue. Join Our Mailing List for exclusive offers, Events & Our Free Wedding Checklist Download!